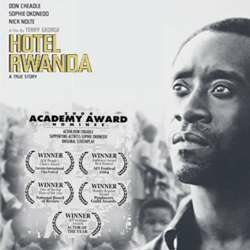 Join us to watch “Hotel Rwanda” that won 16 awards including those from the Berlin and Toronto International Film Festivals, National Board of Review and AAFCA. Based on the true events from the civil war in Rwanda occurring during the spring of Protected content , the film explores genocide, political corruption, and the repercussions of violence. Not only does the film reflect the accuracy to history, but it's capability of entrance to the audience. A film discussion will follow the movie to cover its cinematography and the main ideas presented in the movie. For any questions, please DM the host.